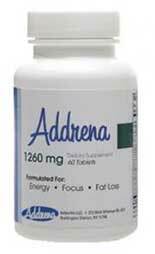 Addrena is a supplement marketed towards men and women who want to boost their energy levels, burn their body fat, and/or improve their mental focus. The product used to be sold under the brand name Adderllin. It is unclear why the name was changed, and the formulation remains the same, but both versions of the product are intended to attract the attention of people who are hoping to buy Adderall online. The drug Adderall is a form of amphetamine that is sometimes prescribed to people suffering from attention deficit hyperactivity disorder (ADHD). It is also a much sought after athletic performance enhancer and cognitive function booster that is occasionaly used as an aphrodisiac. Different people are interested in the drug for different reasons but, as with all forms of amphetamine, Adderall is addictive. In the UK, amphetamines are considered a Class B drug and anyone who has them in their possession can face up to seven years in prison and/or an unlimited fine. Addrena can be bought legally online but, although the supplement is probably a much better option than the drug it is designed to mimic, customer reviews suggest it presents side effects of its own. Caffeine: A popular stimulant that can boost energy levels and improve mental focus and concentration. Caffeine can also increase the metabolism and encourage fat burning. Guarana: A berry extract that is a potent source of caffeine. Yohimbe Bark Extract: A stimulant that is taken from the bark of a tree. It’s sometimes used as a treatment for erectile dysfunction, as a performance enhancer, and a fat burner, but its ability to deliver results in any of these areas appears to be far from proven. Bitter Orange (Citrus Aurantium): A fat burning stimulant sourced from a species of citrus fruit. White Willow Bark Extract: Provides an aspirin alternative called salicin that is sometimes used as a pain killer. Choline Dihydrogen Citrate: A choline boosting ingredient that appears to have the ability to improve the attention, but the only study that supports this claim was conducted on elderly people. Acetyl-L-Carnitine: There is some evidence this compound may help improve fat burning but, like choline, it appears to work better for people who are getting on in years. Bacopa Extract: A popular mind-boosting herb. 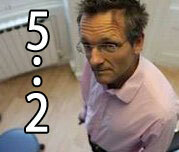 Long-term use is generally required before any noticeable results are noticed. Dimethylaminoethanol (DMAE): Although DMAE is often marketed as a memory booster and mood enhancer, its abilities require further study. Vitamin B3: Helps support healthy metabolic function. Vitamin B12: Has a similar value to Vitamin B3 (above). Vinocetine: A man-made chemical that is intended to mimic the abilities of periwinkle extract. It may have the ability to improve mental function by increasing blood flow to the brain but, due to the way it’s produced, many people argue that it should be classed as a drug. Huperzine: A plant extract that may have value as a potential treatment for Alzheimer’s disease. Acetyl-L-Tyrosine: Although Acetyl-L-Tyrosine is sometimes used as a hunger suppressant, the ingredient has more value as an alertness booster, but large doses are required. Piperine: A black pepper extract that improves the bioavailability of other ingredients. 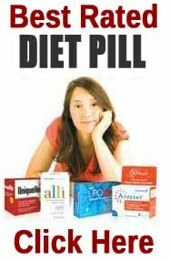 How to Use -The recommended dose is one tablet per day, but halving the tablets is also permissible; and people who want an extra energy boost can increase the dose to two tablets. Many customers state the product made them feel unwell, so all potential users would be wise to discuss the matter with their GP before commencing supplementation. Addrena is exclusive to the official website. Each bottle contains 60 tablets and carries a price tag of $39.99 (£32.30). A refund is available, but only if no more than 14 tablets have been used and the claim is made within 30 days of purchasing the product. The fact that no inclusion rates are provided makes it very difficult to speculate on the value of the formulation just by looking at the ingredients it contains. However, it does have some ingredients that may have the ability to make the tablets work in the required way. The problem is, several of the ingredients are stimulants. Some people do not tolerate stimulants well, and customer feedback suggests some past users have already found the tablets presented them with more problems than benefits. After weighing things up, we feel Addrena offers very little value as a diet pill. The best weight loss ingredient included is probably caffeine, but it’s diluted with a lot of other additions. The fact that so many people report side effects makes the formulation equally unsuitable for people who need a pill to aid their studies, or improve their mental focus and cognitive function for some other reason. Addrena probably has more to offer as an energy provider, but the fact that it contains so many stimulants will likely make it more suitable for bodybuilders and other gym-goers who have already built up a resistance to stimulants by the long term usage of other products that contain them. Our preference is fo PhenQ – arguably the best fat burning supplement on the market. PhenQ can also block new fat from food from being digested and also suppress appetite. 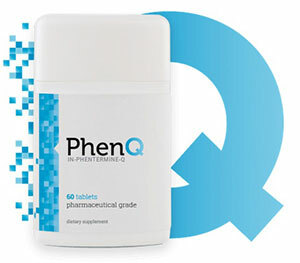 PhenQ is the best diet supplement in the UK, USA and across Europe.